When we first opened our doors in 1975, the world was a much different place. Life moved slower, budgets were larger, and finding the right printing company was like finding the right accountant – they stuck with you for the long haul. Through the years, we’ve witnessed the transformation of personable, quality-focused service to cheap, outsourced convenience, and it’s been a challenge to keep up. However, despite all of these growing changes, our company continues to thrive and our core values have remained the same; to consistently exceed client expectations in every way possible. 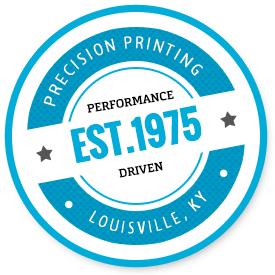 At Precision, you’re more than a customer; you’re a colleague, a friend, someone who matters, and your success is our number one priority. If that means answering an urgent customer call at 6:30 AM, or staying after hours to ensure that a project meets the required deadline, we’ll do it without a second thought. You deserve exceptional customer service; to work with a company that goes the extra mile; and we can provide that. Let us exceed your expectations.